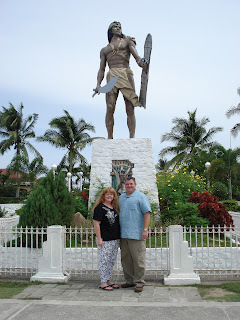 HollysHome - Church Fun: Our Trip the the Philippines - Cebu, Negros, Manila, Corregidor, and Malaysia. Our Trip the the Philippines - Cebu, Negros, Manila, Corregidor, and Malaysia. Michael served his mission in Cebu, Philippines. We went to pick him up there, and here are some of the great things we saw there. We had so much fun, and the people were so nice. 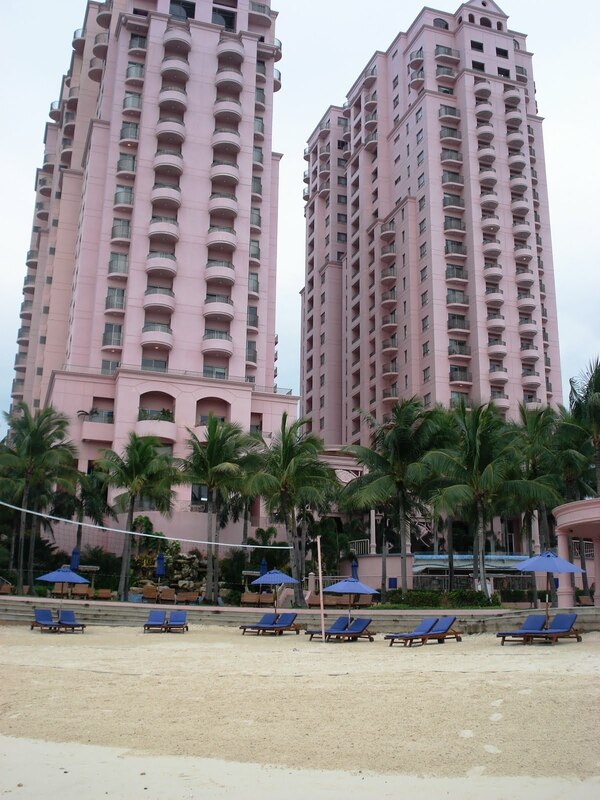 Our hotel, the Cebu Hilton on Mactan Island. It was very nice! We enjoyed watching this Filipino bring his pig to shore from the boat. Hopefully it wasn't our dinner! According to Anthony Bourdain Cebu makes the best roast pig he ever ate! We had roast pig for dinner and they brought us the crispy skin to eat, which is suppose to be the best part. It's quite an honor to get the skin! 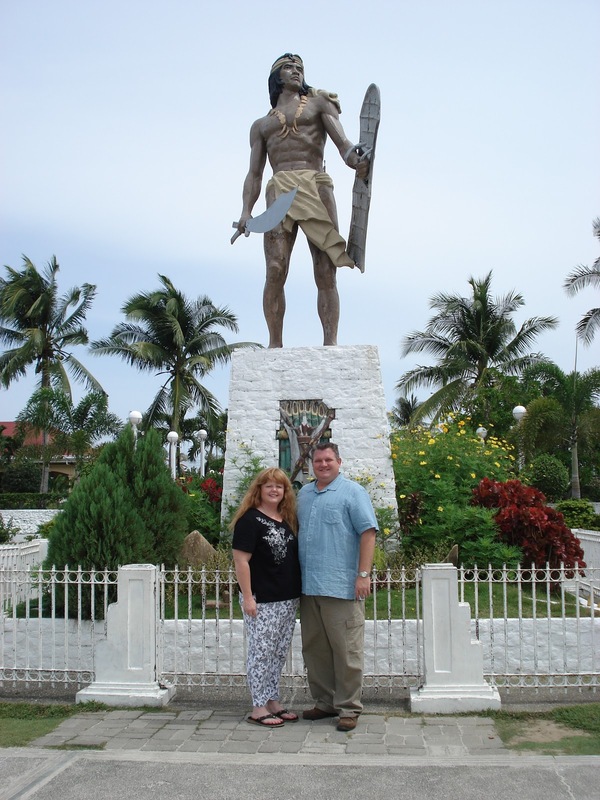 This is the statue of Lapu Lapu, the Filipino chief who killed Magellan. 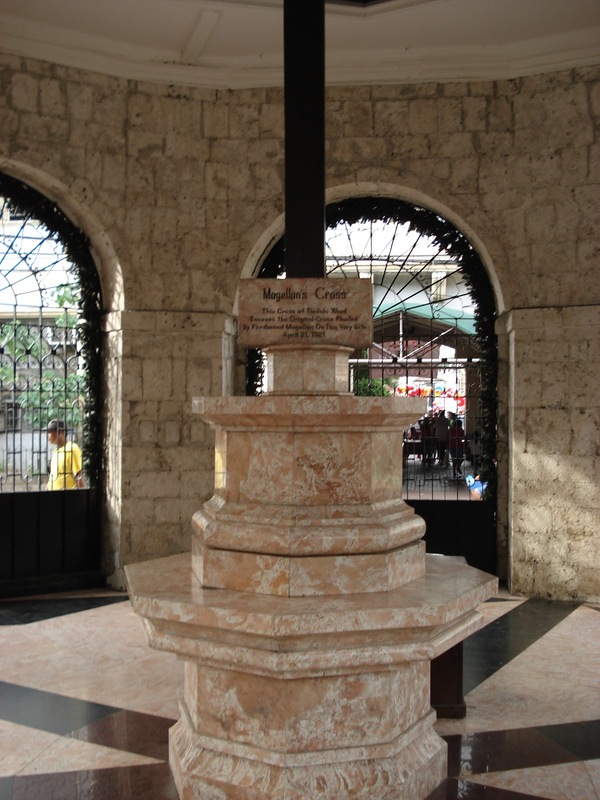 Magellan planted his cross in Cebu (before he was murdered by Lapu Lapu) which makes Cebu the "birth place" of Christianity in the Orient. 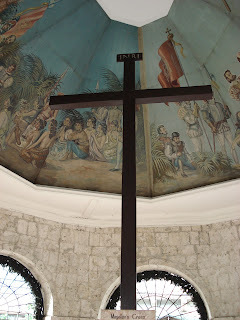 After that Cebu was inhabited for many years by the Spanish. 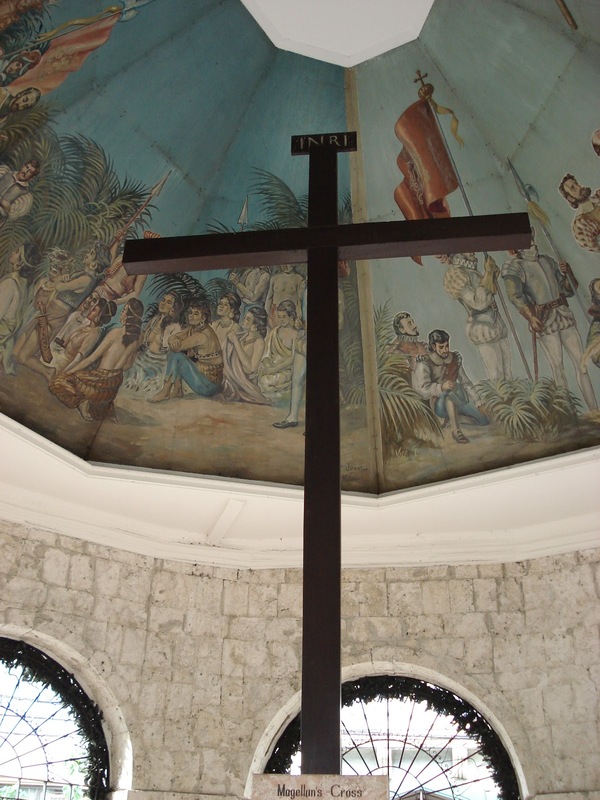 Catholicism is the main religion in the Philippines. They make all the guitars by hand, no electricity! We enjoyed going on a tour to see all the steps they used in making the guitars. We bought Michael a guitar, and brought home a coco-lele (a ukulele made out of coconuts) for us. 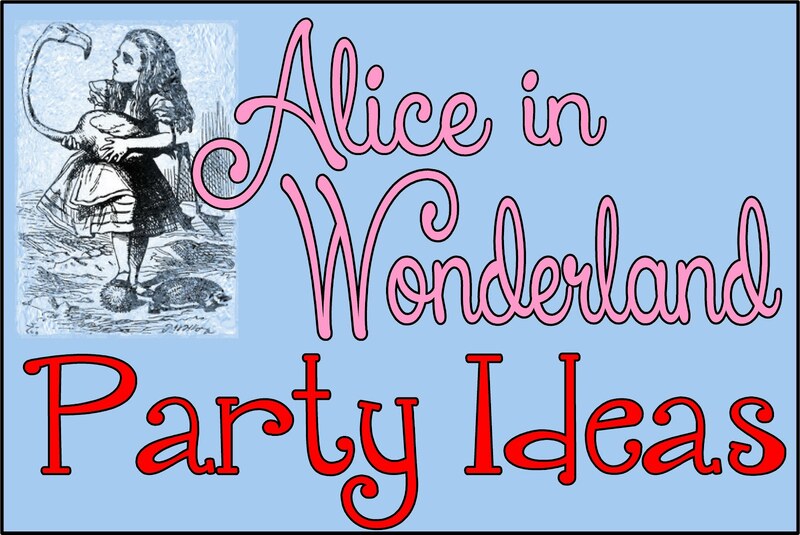 It's on my dining room wall if you would like to see it. We had fun going up and down hundred of steps to see the Taoist Temple in Cebu. After we travelled around for a couple of days, it was time for Michael to end his mission. We met him at the Mission President's home. They kindly let us join in as they all said their goodbyes. We enjoyed a wonderful dinner, and loved getting to know the Mission President and his wife. We got to stop here several times for various reasons. This is where your packages go to when you are sending them to your missionary. Who can resist a pair a shoes custom made just for your feet? This is the place! It is home to the largest shoe in the world! Yes, we did use the local transportation! Here we are all trying to fit into one trikee (I have no idea how to spell that!) Michael insisted that we experience it all! It was fun! We made it! These were the nicest people! They even went and got me some Pepsi (no I did not ask). They make necklaces out of coconut husks. We had so much fun getting to know them. This is the view outside our window. The Bethel House was very clean and comfortable. I would definately recommend it if you are going to Dumaguete, Negros, Philippines. 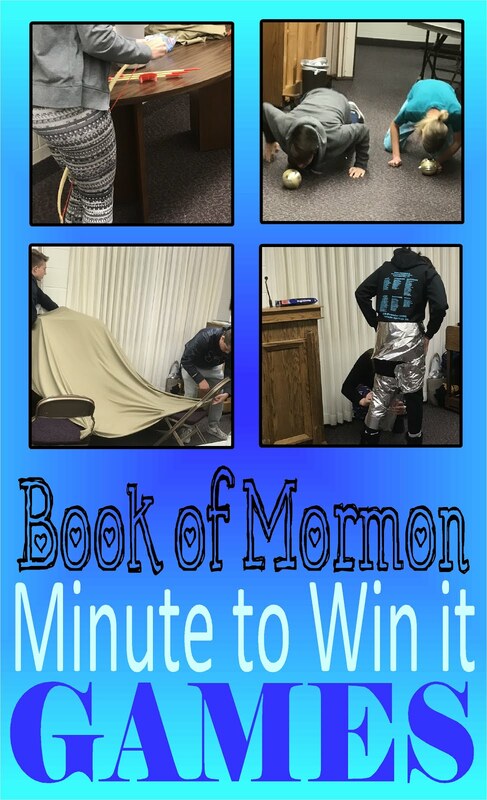 This is a local favorite for missionaries. We met another missionary and his parents here. The food was great! Here's Michael at the Twin Lakes in Negros, Philippines. This poor guy had to row three large Americans (us) across the lake. He was so eager to do it (for a price). Our life jackets are little more than Styrofoam with mesh around it. The pagoda we hiked up to with a view of both lakes. Very nice! It felt like we were at the end of the world! Our good friends fed us a great big meal! We made a lot of good friends! 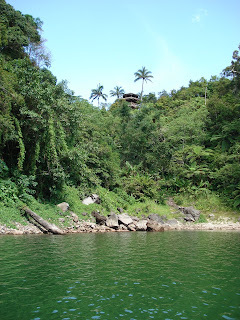 The next day we took a two hour bus ride to Bindoy to attend church. Some of the friends we met at church. where we found a starfish as we carried all the stuff back to shore. The next day we took a $10 flight to Manila, and said good-bye to Dumaguete!